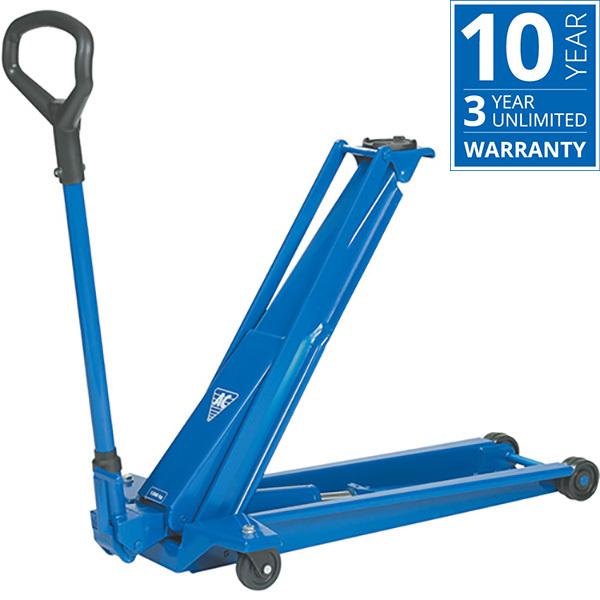 High lifter with long reach, ideal for cars with low clearance. *AC Hydraulic offers a 10 year warranty on frame, chassis, and steel structures as well as a 3 year warranty on the hydraulic system (pump and cylinder). The warranty covers replacements of parts due to defects in material or workmanship. The warranty does not cover damage caused by accident, misuse, neglect, improper maintenance or normal wear and tear. Learn more about AC Hydraulic Warranty T&C's here.